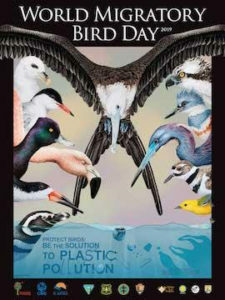 We will start th e day with an “Early Bird” bird walk at 5:30 AM at the Maquam/Black Creek Trail. Meet at the parking area on Rte 78, about 2.5 miles west of Swanton village. The main activities of the day will begin at 7:30 AM with an orientation at the refuge Visitor Center. Participants will split up into several boat trips and bird walks, during which we will record all bird species and count as many individuals within those species as we can identify. All birding participants will return to the Visitor Center by 11:30 AM to tally results over a light lunch provided by the Friends. Throughout the day, an exhibit of artworks from local artists will be on display at the Visitor Center. The exhibit will run through mid-July. Further information on entering works in the exhibit will be available on the Friends website www.friendsofmissisquoi.org in the near future. Please call 802-868-4781 to register for this activity. Also please check back closer to the event date for any changes/additions to the schedule. Join the Friends of Missisquoi National Wildlife Refuge Inc. along with the Memphremagog Watershed Association for a morning of birding and exploration at the Eagle Point Unit. Eagle Point, a 420 acre tract of property on the shore of Lake Memphramegog near the town of Newport, became part of the Missisquoi NWR in 2010. The Eagle Point property consists of a mix of upland and wetland habitats including northern hardwood forest, hemlock seepage forest, managed grassland, and a diverse wetland complex formed around Hall’s Creek. Note: there are no facilities on the property. This walk will be led by Ken Copenhaver and Julie Filiberti.